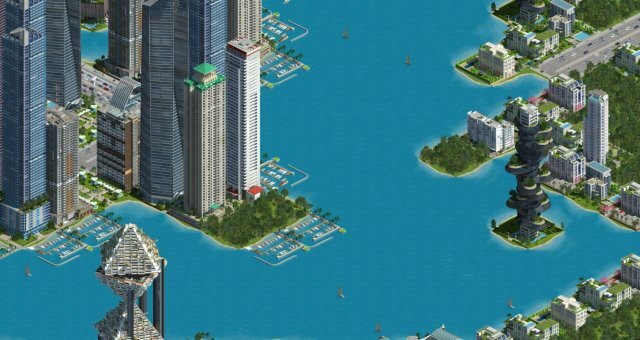 Dear all new or struggling players, Welcome to a basic guide on how to make your first (or second) city in City State. I know that there is a lot of things that go into starting a Nation-state (much less a real one) that this game over simplifies or outright omits. However, the areas that are covered take some getting used to. So for starters, let me go over the most important things that you will need to know. First off: You need a name. Obviously, but this is harder than you think. The name you chose will seperate you from the internet rabble and the Professionals of the Naming World. So, chose something that if you said it to someone on the street, they might think that it is a real country; like: Belguim. Secondly: You need a flag. This flag should follow the North American Vexillological Accociation (look it up if you don't know) and should be something to take pride in. If you can manage the first part of this guide, then this should be much easier. Just remember this: However you build the map from now on, you will be left with your own decisions. So make them wisely! Each have they're own advantages and disadvangates, but for example sake, we will use the Coastal map settings. The settings you use to build your own map is yours to command, but jungles and deserts will not be ploppable in the game. So add more if you think that there is not enough. When you have your map ready, just look over it and see with your mind's eye, where the starting city will go. Now where will the roads that connect it go. All of the buildings can be 3 tiles away from a road, so 6x6 blocks of buildings with roads around them are the most densely pack as you can go. Never go straight to High Density, ever. The cost of the spot will never cover the additional tax money for the first 25k in population or so. Use mines, both iron and gold, to help build up a cash pile without needing to rely on just taxes in the beginning. Tax money should pay for most of it, but the mines should push you well into the green for most of the early growth. When considering mines, always mine something when it is 50%+. 30-50% is a personal choice. Never under 30%. Keep your farms and mines going as long as possible. It will help with your trade balance.